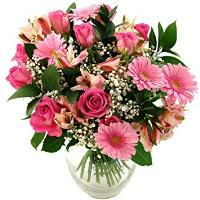 Would you like to send flowers to Hungary, using online florists in Hungary? 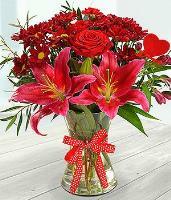 Then you’ve come to the right flower shops in Hungary with international recognition! 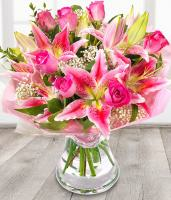 Monday to Saturday we can take orders for flowers, chocolates, wine, balloons and teddies through our online flower shop to deliver in Hungary for same day if order made before 12.00pm Hungary time or next day flower delivery to Hungary. 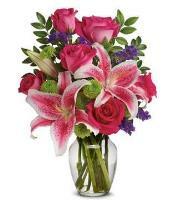 Our online flower shop sends flowers to Hungary for every occasion. 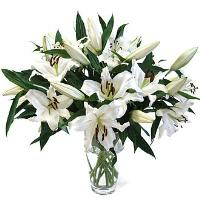 Overseas is your choice for the finest floral delivery throughout Hungary. 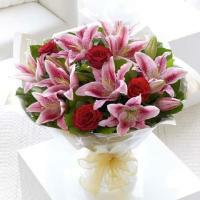 You can find a distinctive array of luxurious floral arrangements at reasonable prices to Hungary. 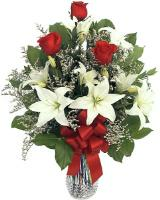 Christmas Flowers to Hungary - Send flowers for delivery with Overseas flower delivery, your online florist to Hungary for Christmas holidays. Most of Hungary florists will work for long hours during this week, while on Christmas eve they work until 1.00pm. On Christmas Day, the Hungary florists do not work. 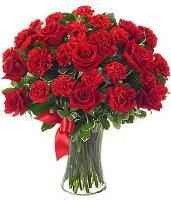 Send Valentines roses to your loved one in Hungary - Hungary florist deliver locally grown and imported roses from nearby localities. 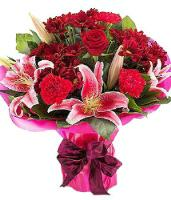 Sending flowers in Hungary is certainly one of the most special ways to brighten up someone's day and if it is Valentines Day flowers and red roses it doubles up the joy. 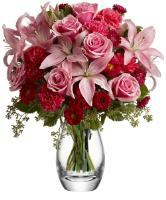 Different fresh flowers convey different meanings and messages. 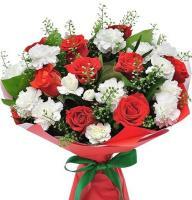 This makes the exchange of flowers more romantic and meaningful. 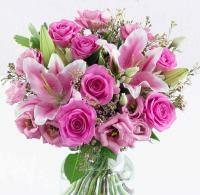 Flowers have the power to convey what can't be explained by words. 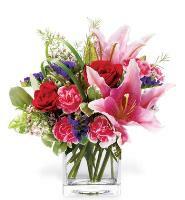 So choose the one from our wide selection of flowers, which expresses your love on Valentines Day in the best possible way! 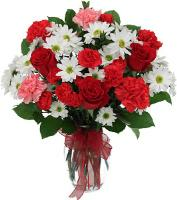 Mothers Day Flower Delivery - Mothers Day in Hungary comes on the 1st Sunday in May. 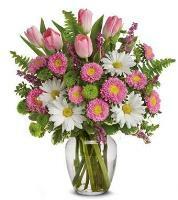 Send flowers to your mother in Hungary on her very own special day. 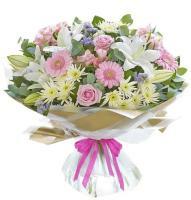 Our Hungary florists will hand deliver any design and any flowers you choose from our vast online flower catalogue. 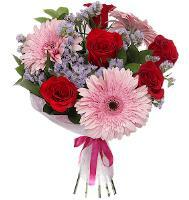 For the flower delivery to succeed please ensure that you order your flowers at least 3 days before the Mothers Day, since the florists in Hungary will be handling a lot of flower orders and will be very busy at that time. 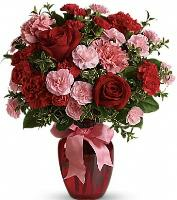 All flower orders to Hungary are delivered from Monday - Saturday - No flower deliveries available on Sundays in Hungary. To help assure on time delivery in Hungary during the busy holiday season, place make your order at least two days prior to the following major holidays: Christmas Day, New Year's Day, Valentine's Day, Easter and Father's Day. 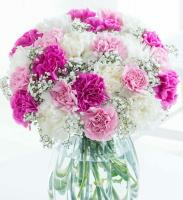 Occasionally, substitutions may be necessary to create your bouquet due to the availability of certain flowers. 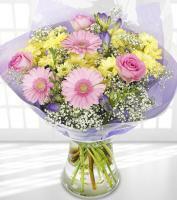 Care is taken to maintain the style, theme and colour scheme of the arrangement, using flowers of equal value. 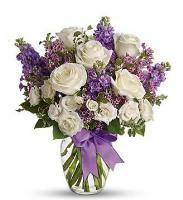 In single-flower arrangements, such as an all rose bouquet, or orchids, we will make every attempt to match the flower type, but may substitute with another colour.